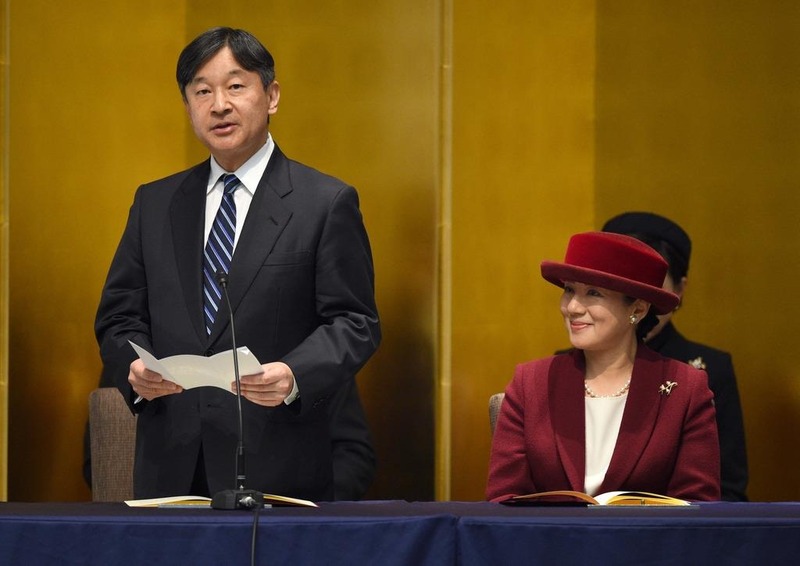 On 24th February, the Commemoration Ceremony of The 30th Anniversary of His Majesty the Emperor’s Accession to the Throne held by the government took place at National Theatre in Tokyo. 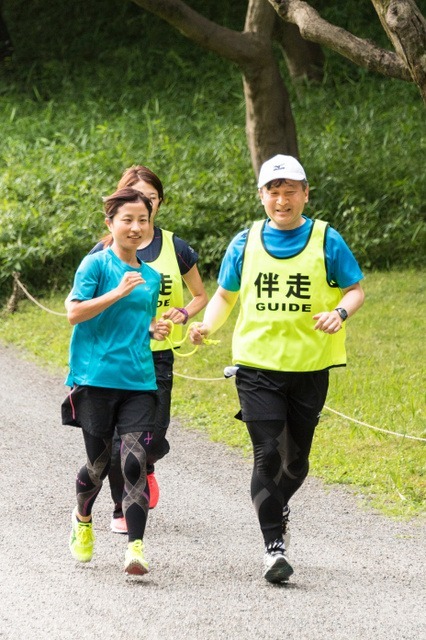 The Song “the Sound of the Singing Voice” was performed by Mr Daichi Miura at the Ceremony. 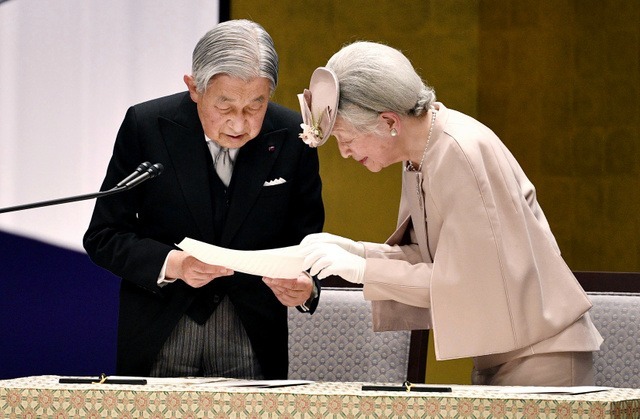 This song was written by His Majesty and composed by Her Majesty. 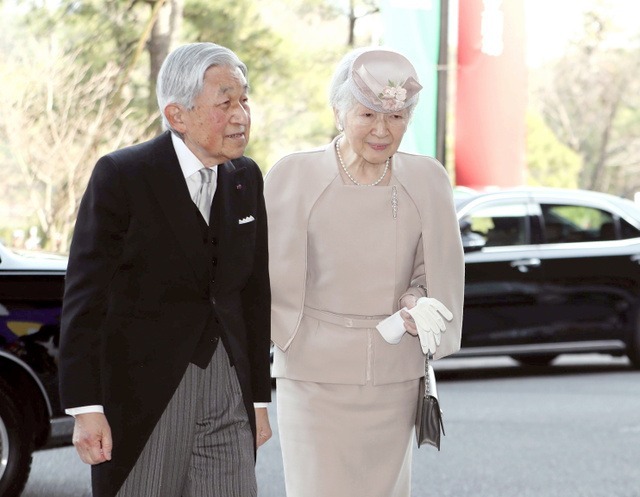 Emperor Akihito said Sunday he has dedicated the past 30 years of his reign to an “endlessly long” quest to fathom out his role as the symbol of the state, expressing hopes that his successors will pick up where he left off and update the idea as they adapt to the changing times. 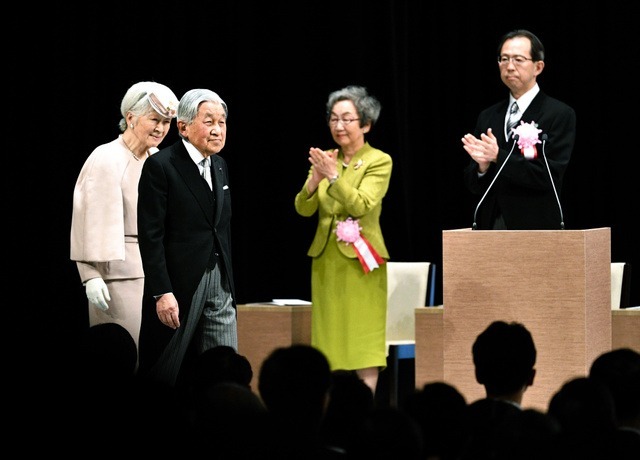 The Emperor was speaking at a government-sponsored event at the National Theatre in Tokyo held to commemorate the 30th anniversary of his enthronement. 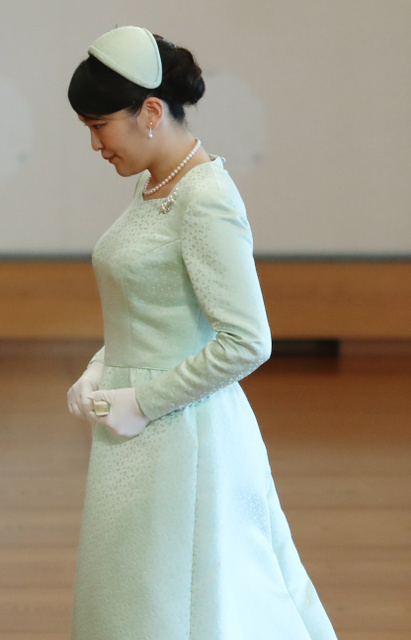 It also coincided with preparations for his coming abdication. 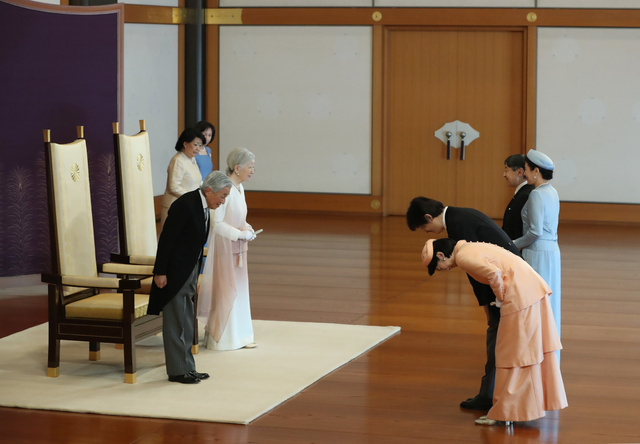 “Ever since I ascended the throne, I have spent my days praying for the peace of the country and the happiness of its people, as well as contemplating how I should behave as a symbol,” the Emperor said. 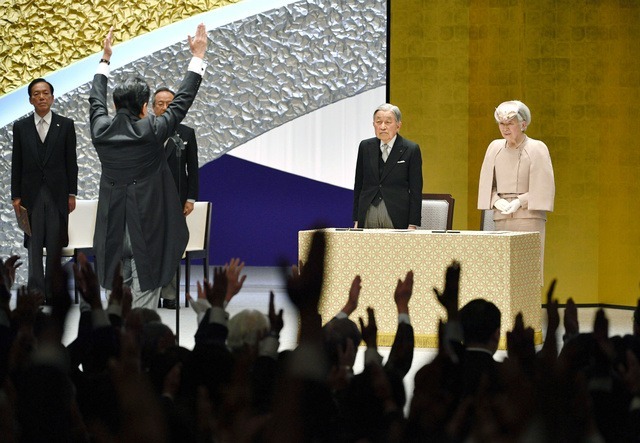 After the war, the Emperor was defined by the Constitution as “the symbol of the State and of the unity of the people,” and stripped of any political power. 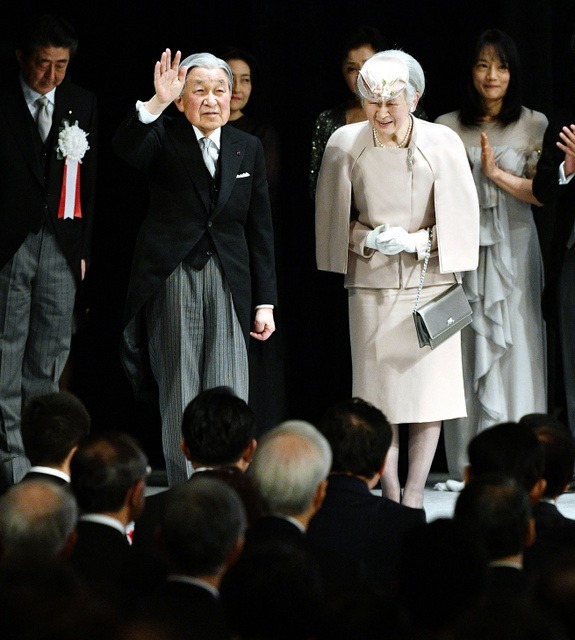 Under the prewar Constitution, he was deified and defined as Japan’s head of state with whom all sovereignty resided. 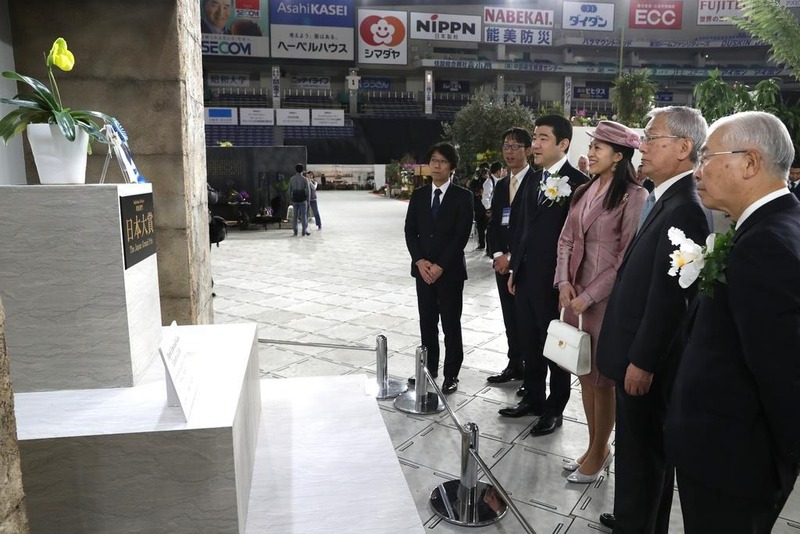 “The journey to figure out the idea of a symbolic emperor, as defined by the Constitution, has been endlessly long, and I hope my successors in the next eras to come will keep exploring an ideal form of this symbolic role and build on the version from this departing era,” he said. 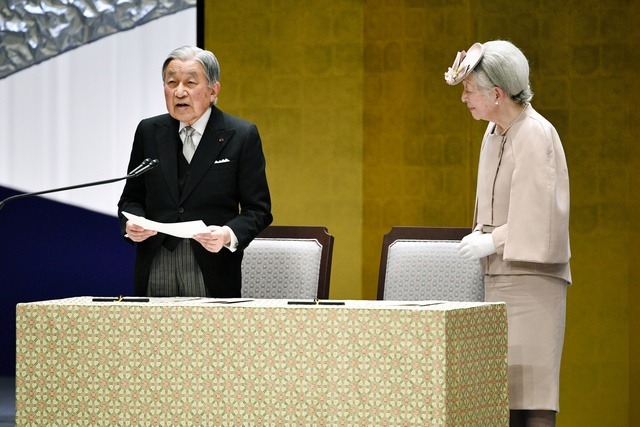 The Emperor also commended Heisei for being the “first period in modern history where Japan did not experience war,” but at the same noted it was fraught with “unexpected challenges” such as climate change, natural disasters and a rapidly graying population. 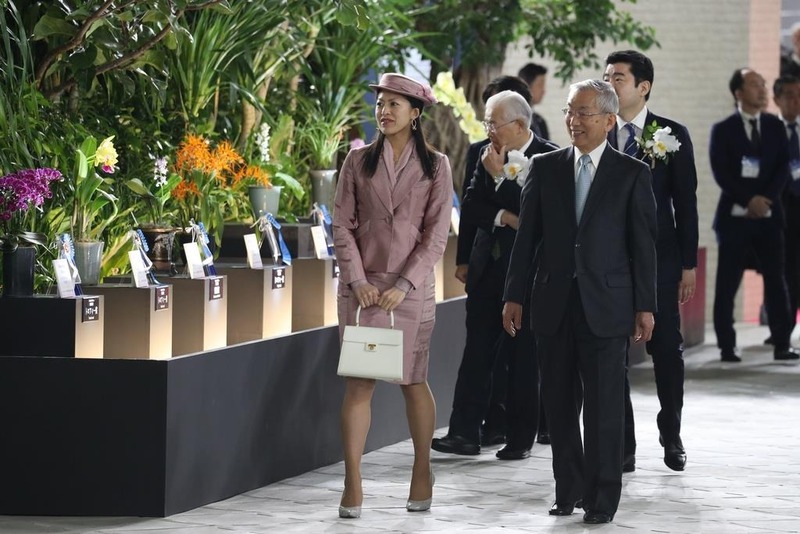 The changing landscape of society, he said, begs the question of how Japan should respond. 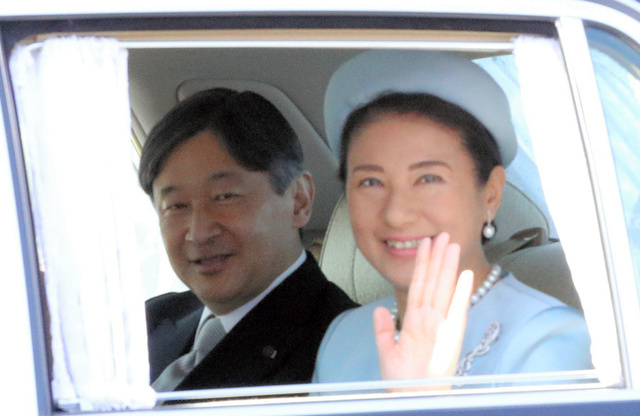 Emperor Akihito is scheduled to relinquish the throne on April 30, paving the way for his son, Crown Prince Naruhito, to take over the following day. The abdication will be the first in about 200 years because Imperial successions in modern history have been preceded by an emperor’s death. 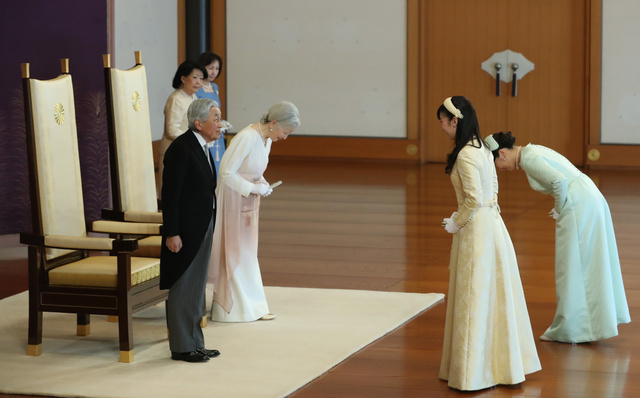 The ceremony, attended by about 1,100 people ? 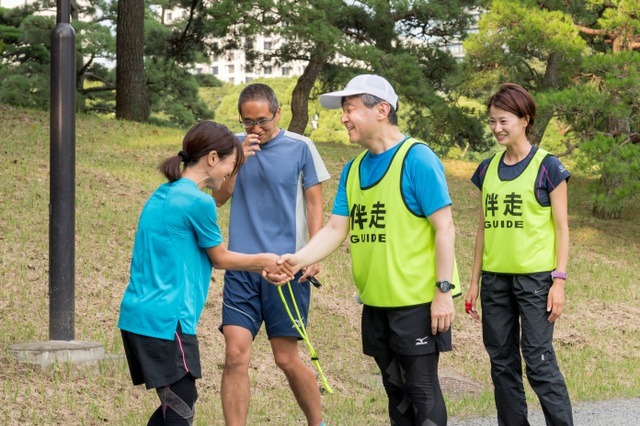 ranging from lawmakers, bureaucrats, ambassadors, business executives and NGO representatives ? was punctuated by musical performances to rev up the celebratory mood. 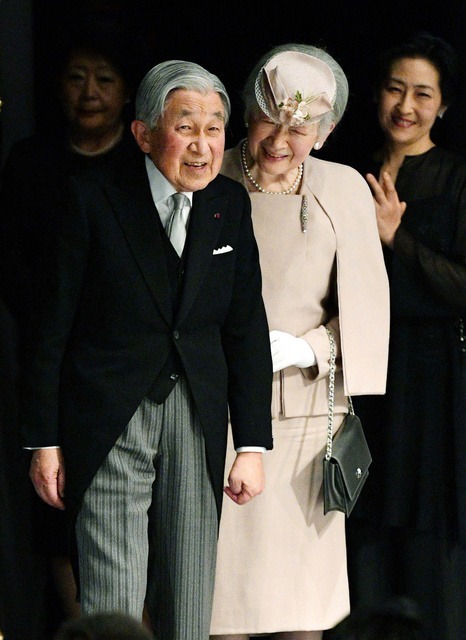 Pop singer and dancer Daichi Miura was tapped to perform “Utagoe no Hibiki” (“Resonance of the Singing Voice”), a song written by the Emperor and composed by the Empress after their first-ever visit to Okinawa in 1975, when they were the Crown Prince and Crown Princess. Miura is an Okinawa native. 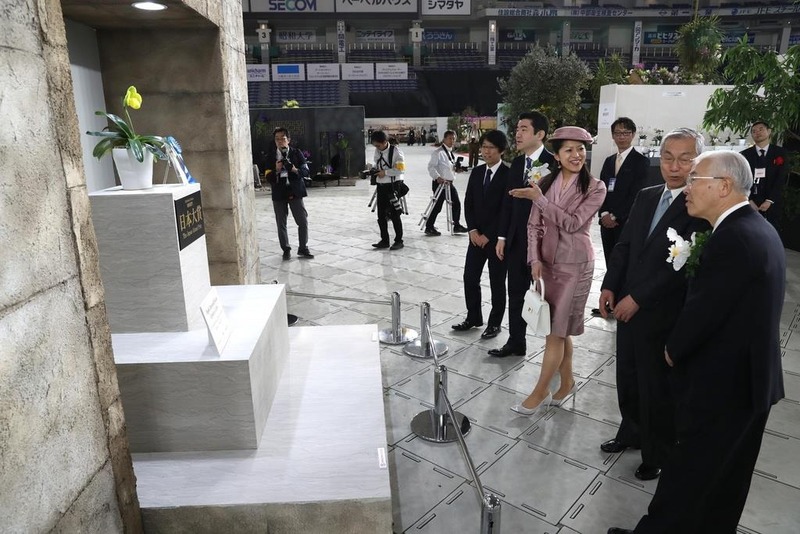 Sunday also saw the government’s first use of facial recognition technology at a state-organized event to reduce waiting times and improve security. An official said the government plans to use the system ? 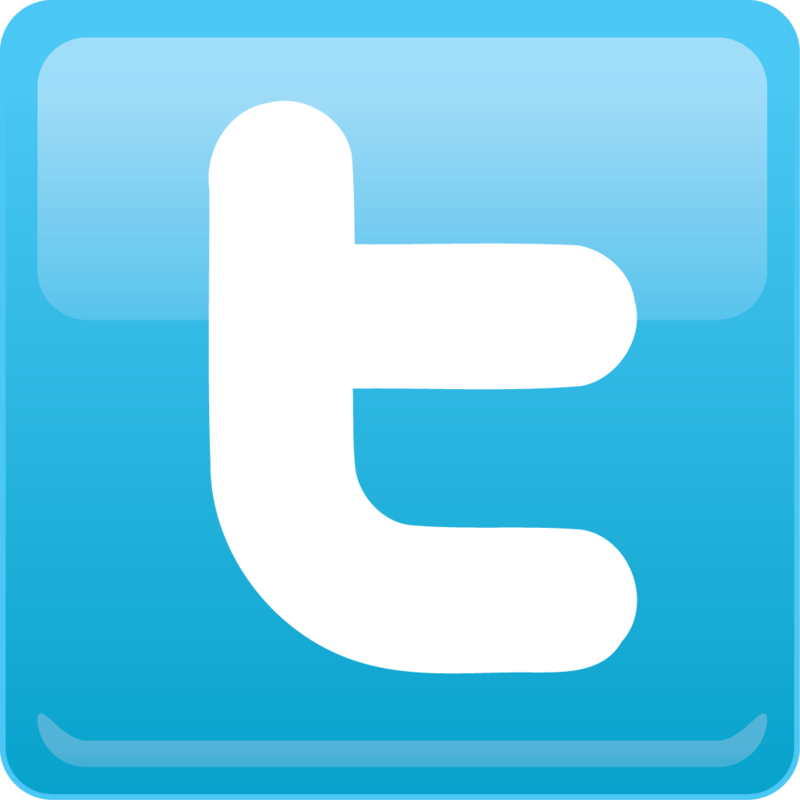 which it claims can identify human faces with an accuracy of more than 99 percent ? 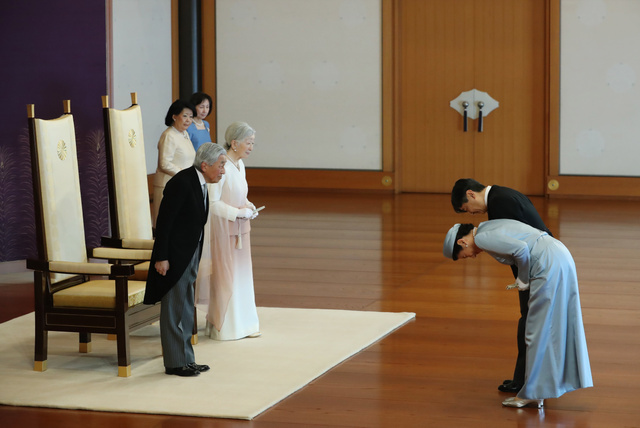 for large-scale Imperial events in the future, such as the enthronement ceremony in October. 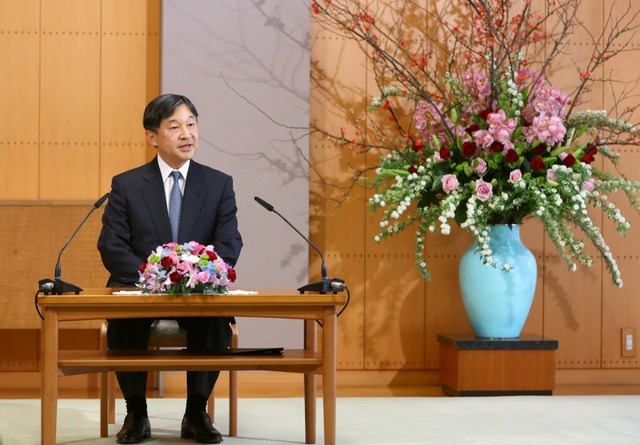 At his regular press briefing Friday, Chief Cabinet Secretary Yoshihide Suga said the government is “fully prepared” for the abdication. 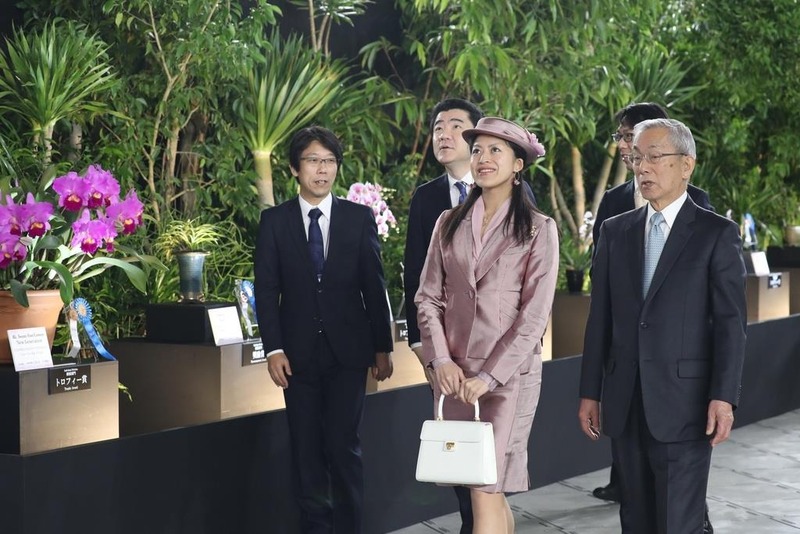 In fact, as part of the preparations, Abe took the highly unusual step Friday of visiting the Crown Prince at the Togu Palace for a face-to-face “explanation,” as a government official put it. 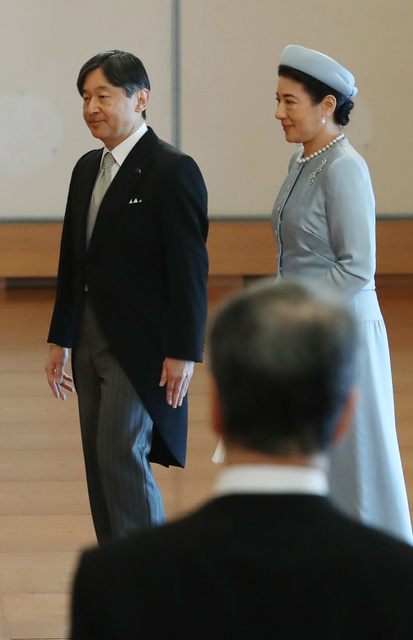 Although Suga declined to disclose the details of their conversation, speculation is rife that Abe was briefing the Crown Prince on Japan’s state of affairs at home and abroad to better prepare him for his new role. 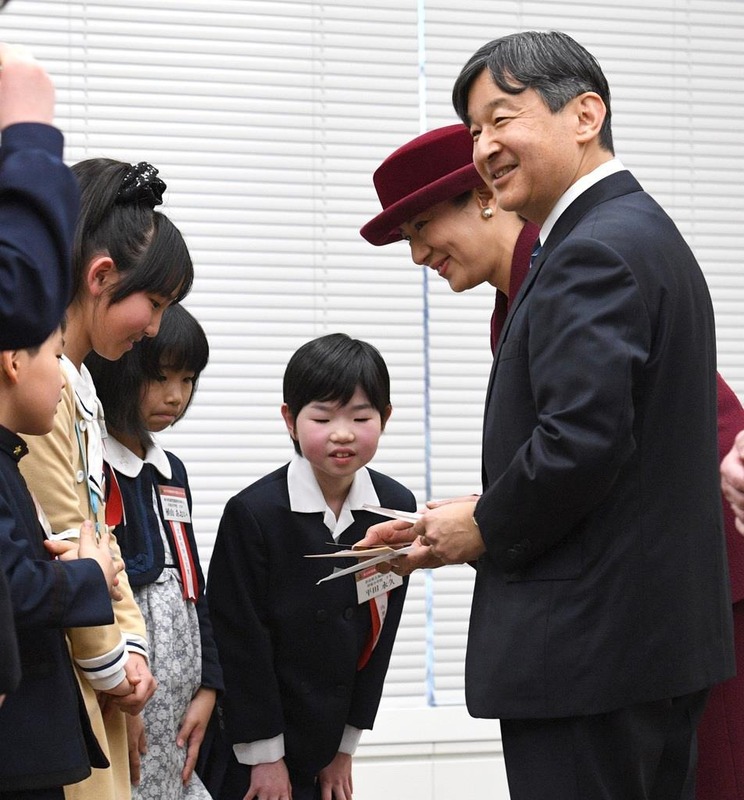 “I think it’s a matter of fact the prime minister would want to explain the situation abroad to the Crown Prince because he will be swamped with diplomatic duties the moment he becomes the Emperor,” a senior government official said on condition of anonymity. 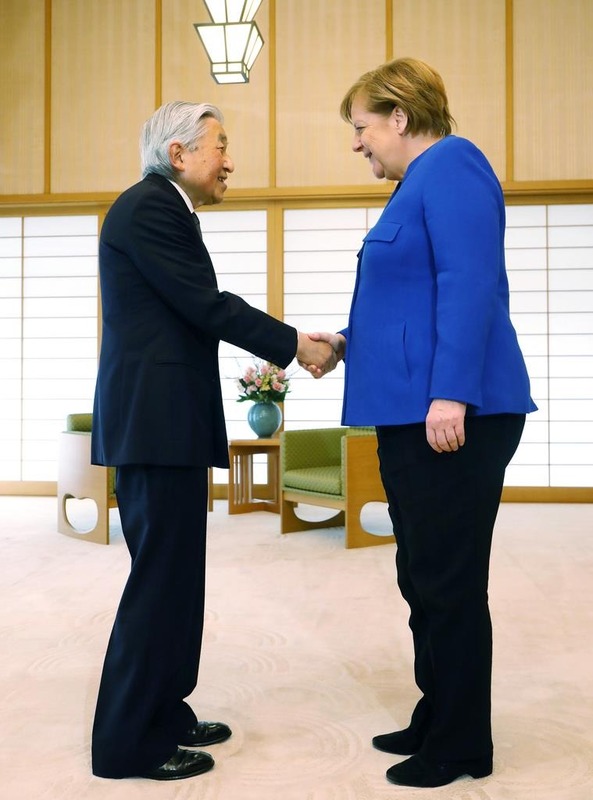 U.S. President Donald Trump is expected to visit Japan in late May, possibly becoming the first foreign leader to be granted an audience with the new Emperor. 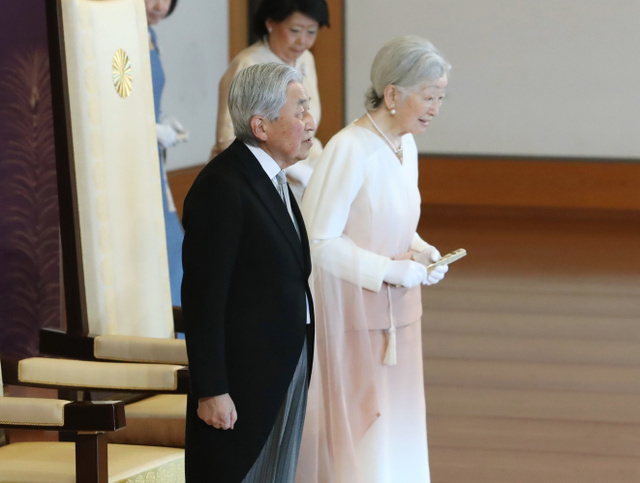 On 24th February, the ceremonies to celebrate the 30th Anniversary of HM Emperor Akihito’s Accession to the Throne. 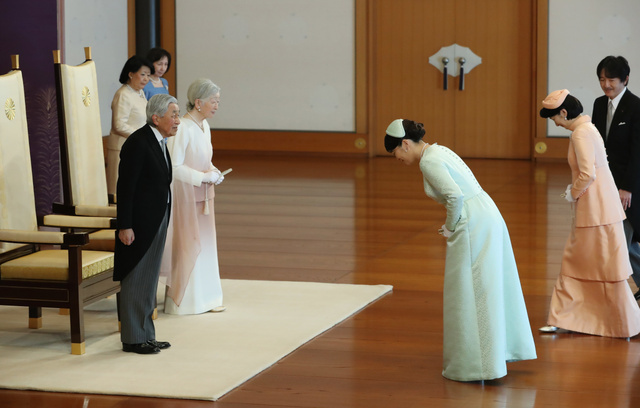 HM Emperor Akihito ascend the throne on 7th January 1989 due to the death of Emperor Showa. 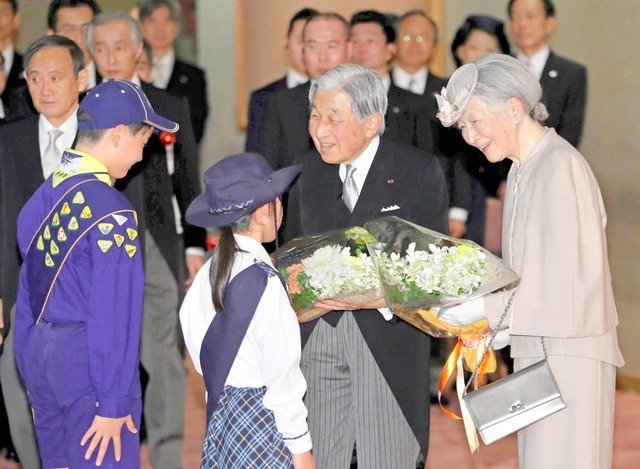 On the morning, the members of Imperial Family gathered at Imperial Palace to celebrate Their Majesties. 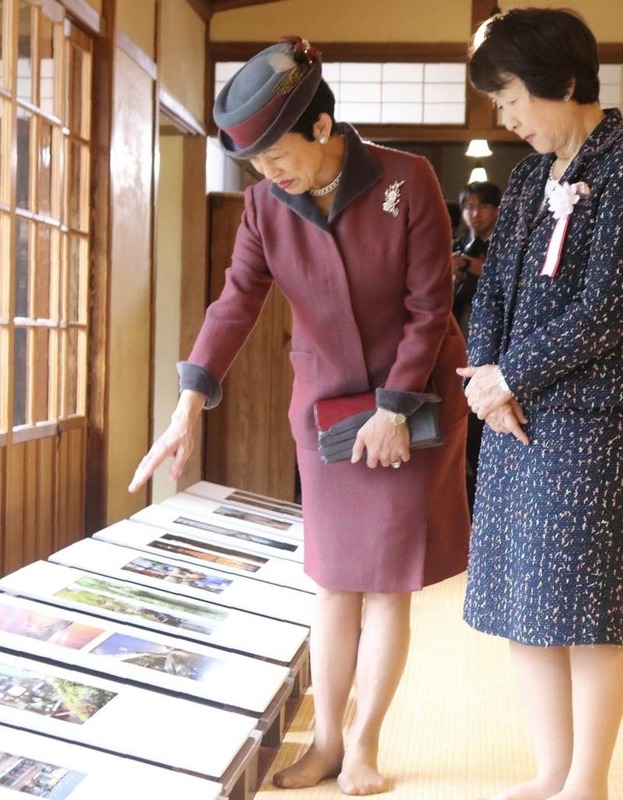 On 5th February, HIH Princess Hisako of Takamado visited the exhibition of the photos taken by the ambassadors in Japan took place in Kanagawa Prefecture. 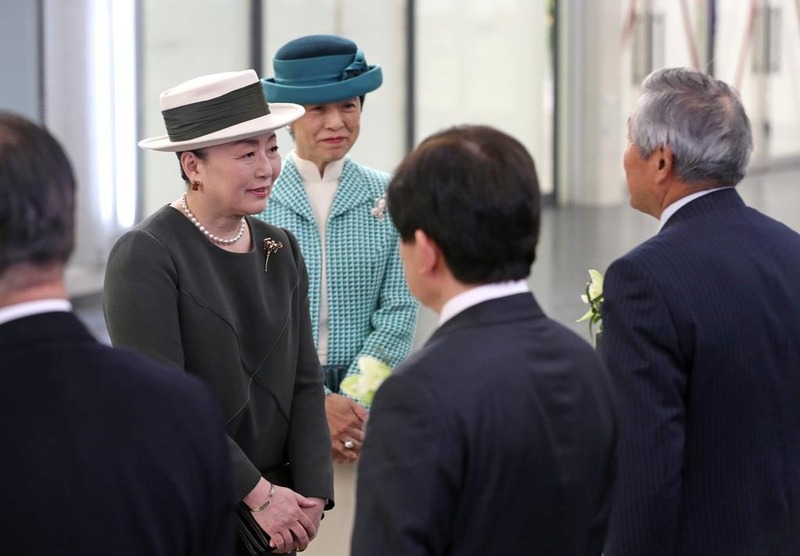 HIH Princess Hisako is the Honorary President of the photo exhibition. 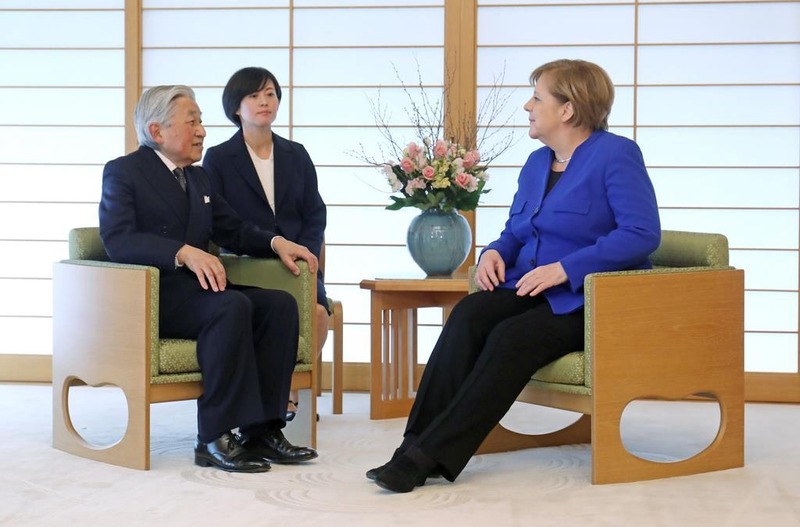 On 5th February, HM Emperor Akihito met with HE Dr Angela Merkel, Chancellor of the Federal Republic of Germany at Imperial Residence. 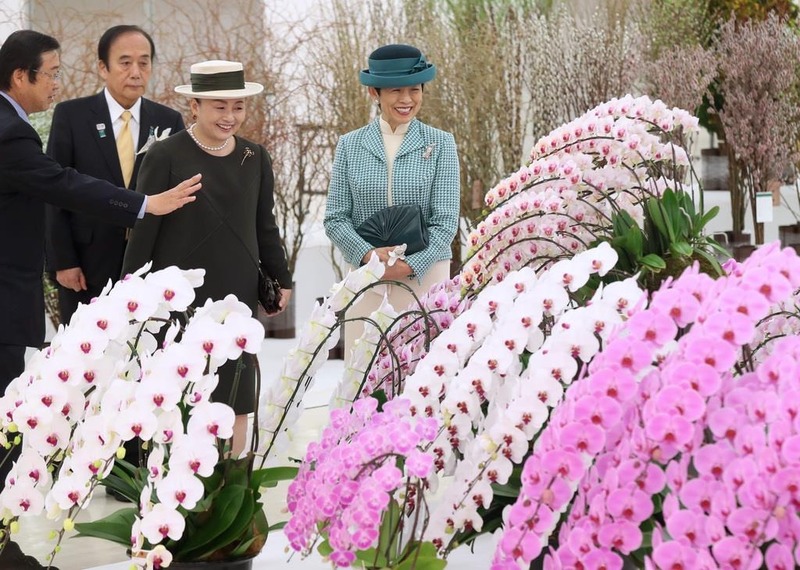 On 1st February, HIH Princess Nobuko of Mikasa and HIH Princess Hisako of Takamado visited the 68th Kanto Tokai Flower Exhibition took place in Tokyo.